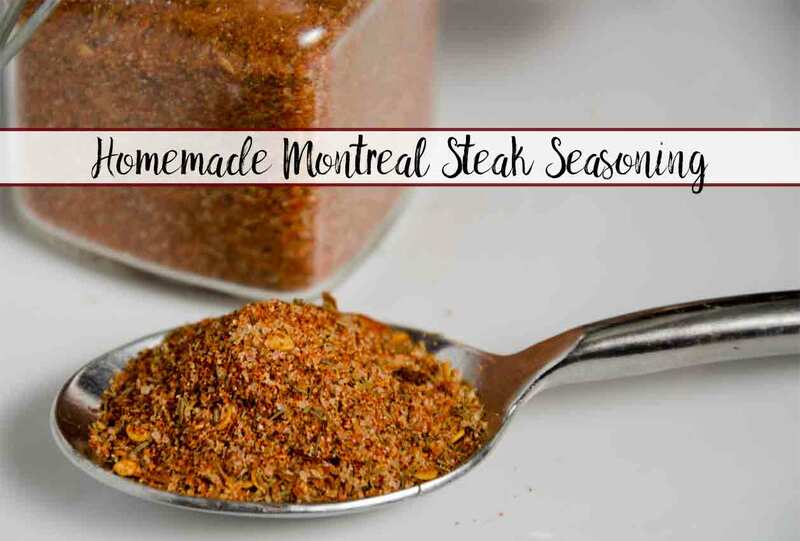 Oddly enough, I discovered Montreal Steak Seasoning (also known as Montreal Steak Spice) when I was trying a pork recipe. I tried store-bought first…and wasn’t impressed. As with all homemade spices, it’s not hard to make. Take the ingredients, dump together, stir. Store in an well-sealed jar. I’ve also included below multiple ideas on how to use! It’s not just for steaks. 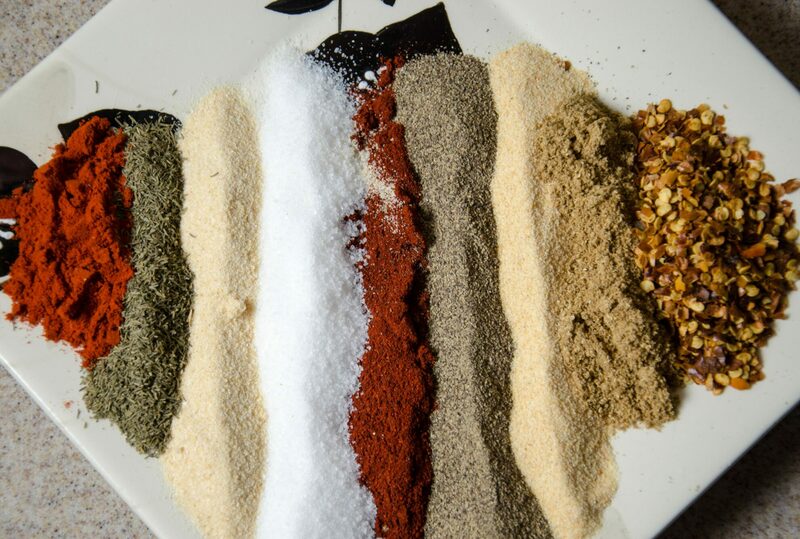 To use as steak seasoning as a dry rub: rub generously on steak 30 minutes to 2 hours before grilling. 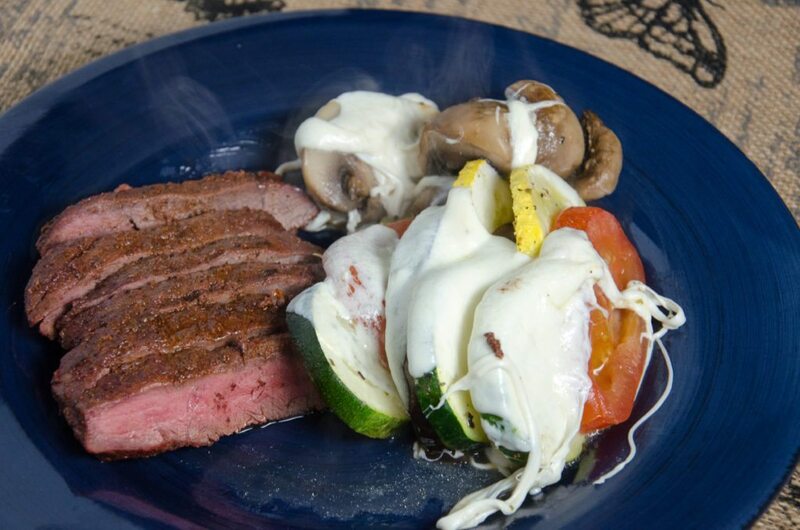 Grill as you normally would to your desired level of doneness. Note that the seasoning includes salt. To use steak seasoning as a marinade: mix 4 tsp. of seasoning with 1/2 cup oil and 1/4 cup soy sauce. Pour over meat and refrigerate for 30 minutes before cooking. 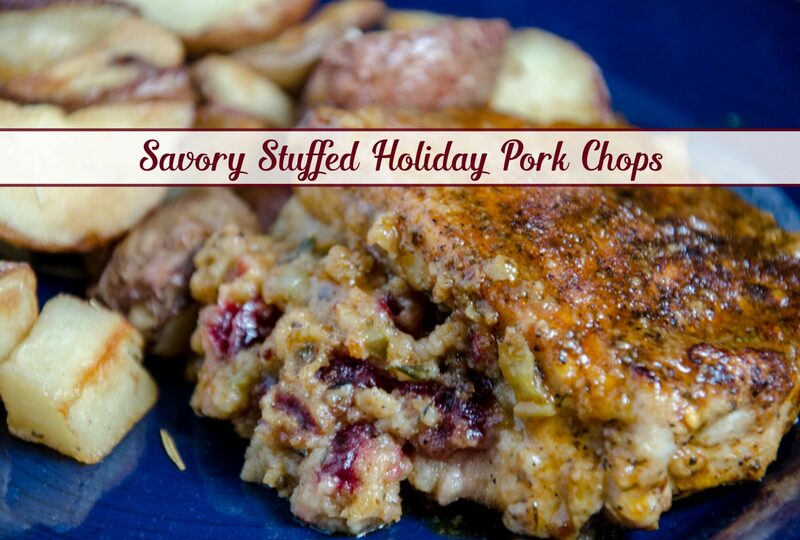 There are multiple ways to use this seasoning on pork, but my favorite is “Savory Stuffed Holiday Pork Chops.” I’m not normally a pork chop fan…but these are delicious! 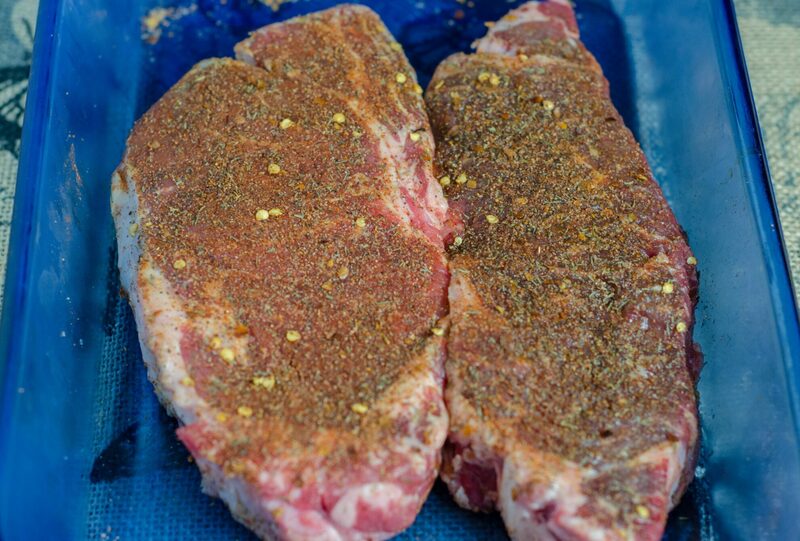 Another way to use Montreal Steak Seasoning is to rub the pork chop and let sit for 30 minutes to 1 hr. Then cook stove-top or bake in oven. 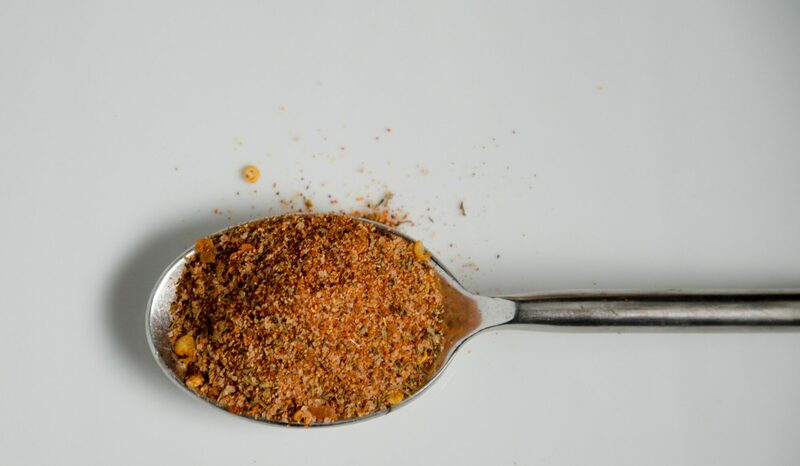 A round-up of various dishes that use this seasoning can be found on MTL Blog: “10 Montreal Steak Spice Dishes Your Need to Try.” (I linked the list not the annoying click-through gallery). It can be mixed into a marinade w/ oil. Pour over vegetables or potatoes and bake in oven. Epicurious has another article “History of Montreal Steak Seasoning” that includes uses such as on salmon, saute vegetables, and mixing with mustard for sauce on sandwiches. a.k.a. Montreal Steak Spice: not just for steak! Mix all ingredients together. Store in air-tight jar. No, you are not stupid. In all honesty, I went to check the recipe thinking “what is she talking about!?”. But indeed, WordPress ate the recipe card and it wan’t displaying. I’ve fixed it and it’s now displaying. Thank you, thank you for saying something. Lord knows how many people have looked at that recipe and wondered why the recipe wasn’t showing!